1) This paper was presented at the FIG Working Week 2012 in Rome Italy, and the main question asked is: Is it realistic to develop spatial concepts for parcels and legal land objects and to propose a 3D cadastral model in the federal countries of Latin America at this time? The conclusion indicates that this is the right time to start thinking about it, compiling the legislation and systematizing the 2D definitions as a first step. Latin America occupies approximately 15% of the Earth's land surface and therefore a focus on this continent is appropriate. The next FIG Regional Conference will therefore take place in Uruguay, 26-29 November 2012, with emphasis on the challenges of the region. Latin America is a vast region of the world, occupying approximately 15% of the Earth's land surface. The 20 countries that compose it have around 400 regional governments (states or provinces) and 16,000 local governments. The region is characterized by a variety of races, landscapes, languages and dialects, climates, history and political systems, in which only 4 countries are governed under federalist regimes. In this system the power is divided among the national, regional and/or local governments, with Constitutions that define each level´s attributions. Argentina, Brazil, Mexico and Venezuela, together, have 65% of the region’s population and a similar percentage of surface area of Latin America. The concepts of parcels, their identification and description, the extension of the properties, the restrictions of property rights, and many other aspects related to the cadastre are different. This paper compares the cadastral structure and the registration of land right in the federal countries of Latin America, describes the main existing legal land objects in the legislation, and provides a perspective for implementation of a 3D Cadastral system for each of them, under the legal vision. In most Latin American countries, the cadastral systems were created under the orthodox physical-economic-legal models imported from Spain and Portugal. 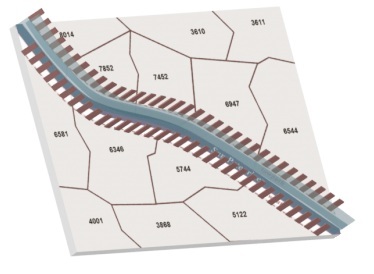 In recent years, the multipurpose cadastral model has been gaining acceptance in the region as a new alternative, better suited to the needs of administrators and the public. The spread and gradual implementation of Spatial Data Infrastructures (SDI) in the region is a sign of the willingness to share data and investments among different institutions. The question that inspired this paper was: Is it realistic to develop spatial concepts for parcels and legal land objects and to propose a 3D cadastral model in the federal countries of Latin America at this time? The conclusion indicates that this is the right time to start thinking about it, compiling the legislation and systematizing the 2D definitions as a first step. In Argentina there is no single system, as the provinces never delegated the cadastral function to the federal government. In fact, one interesting feature of the Argentine system is that, although the country has a National Cadastral Law and a Federal Cadastral Council that establishes general guidelines, each federative body has its own provincial cadastral law and specific regime. Therefore, the provinces organize their territorial cadastres to identify the physical, economic and legal aspects of the parcels, and use that data to define their land tax policies. In parallel, some municipalities organize their urban cadastres with the main goal of enforcing planning standards, mainly as it pertains to the subdivision of land, and use that data to define the service fees collection policies. The connection between the municipal and provincial cadastres is made at different levels around the country. In Brazil, federalism has a particular connotation when it comes to managing territorial information. While the rural cadastre is organized by the National Institute of Colonization and Agrarian Reform, which is part of the central government, and is therefore centralized (although distributed around the country), local governments organize their municipal cadastres with ample authority and independence, focusing mainly on the cities. Given the enormous diversity of criteria, and as an alternative for the municipalities that lack the needed human, technical and financial resources, the Ministry of Cities has published National Guidelines for the Creation of a Multipurpose Cadastre which – although lacking the force of law – guide technical and administrative personnel through cadastral restructuring. In Mexico, public information on real estate is obtained from cadastres and registries. As there were inconsistencies in many cases, some states decided to place both institutions under the same roof (in some cases only “legally”, in others “physically”). Neither the Federal Constitution nor any statute mandates a cadastral function. The attributions given to municipalities by Art. 115 of the Carta Magna, induced some local governments to set up cadastres, and so did at least half the states in the country. Therefore, we can identify 3 basic systems: The cadastres that are completely centralized at the state level; the state cadastres that have been decentralized to the municipalities; and the state cadastres that work in parallel with the municipal cadastres. The social property created by the Mexican revolution is managed by the National Agrarian Registry, which can be considered a form of rural cadastral registry. The recent creation of the Mexican Cadastral Institute (Instituto Mexicano de Catastro) and the Mexican Society of Assessors and Cadastral Management Specialists (Sociedad Mexicana de Especialistas en Valuación y Gestión Catastral) opens up the possibility of establishing clear criteria and goals, matched to the facts on the ground. In Venezuela, the Geography, Cartography and National Cadastral Law establishes guidelines to restructure the country’s cadastres. According to this law, Venezuela’s Simón Bolívar Geographic Institute directs, coordinates and executes policies and plans for the creation and maintenance of cadastres throughout the country, and Municipal Cadastral Offices are obligated to organize their cadastre following these national directives. Many times, the various limitations of local governments to create and maintain a cadastre make this task impossible, so the Institute provides support, mainly by developing joint projects and collaborating to obtain resources from the pertinent public agencies, without precluding the participation of the private sector. 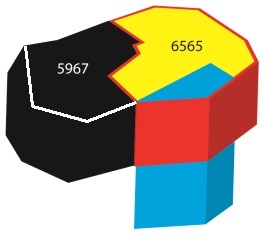 Figure 1 shows a comparison of the cadastral organization of the four federal countries. The conceptualization of a 3D cadastral model requires a clear understanding of the physical occupancy of the territory and the current legal framework. Regarding the urban aspect, the virtualization of the different existing cities in the region is essential because it allows us to analyze how 3D parcels can be defined, represented and described; and how the 3D legal land objects restrict them. This understanding is crucial to the development of a 3D structure for the cadastres of the Latin American federal countries, and their relationships with 3D land registries as well as the 3D land use restrictions laws. Among the different realities and technological levels of Latin American countries, there are interesting experiences indicating that development of 3D urban cadastral models in the region is possible in the median term. Entering the 3D world could start with the creation of different virtual 3D cities. In the context of this paper, a “virtual 3D” city is the real (built) city which, represented geometrically, is useful in several types of analyses, such as vehicular traffic studies, tracking of cell phone waves, or any type of infrastructure network analysis. For other kinds of analysis the virtual 3D city it is not sufficient, as when a lawyer may need to visualize the legal 3D city as defined by urban and environmental regulations. 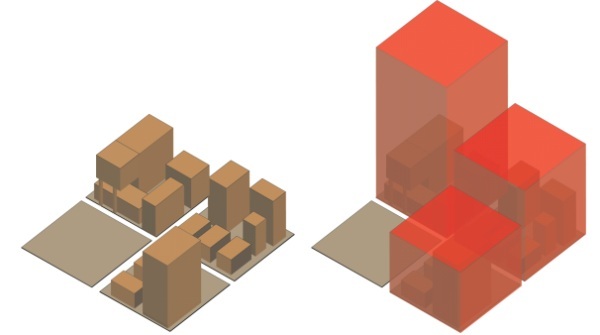 Figure 2 shows two virtual 3D cities, one representing existing formal buildings and the other indicating the legal city according to its development potential based on the applicable urban regulations. Note: The existing buildings on the left are incorporated into an expanded legal city on the right. Source: prepared by Diego Erba and Anamaria Gliesch-Leebmann. 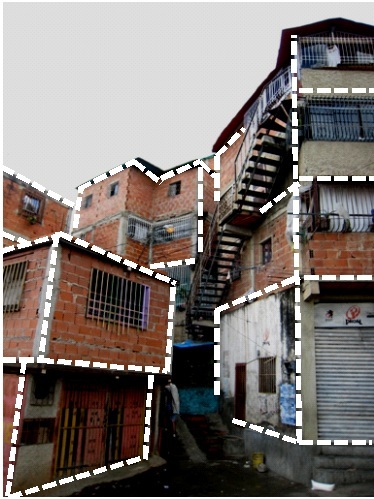 In Latin America, where the incidence of urban informality is practically a constant in the urban landscape, it is important to visualize and define the informal as well as the legal 3D virtual city. Every “occupied space” is a part of the city and should be considered in the urban data bases of the cadastre. Informal settlements develop when people are unable to save money or obtain access to credit to purchase a home or are ineligible to receive government assistance through housing programs. They must find a place to settle, which is often on hazardous or protected land that is inappropriate for housing, or on vacant public or private land. The magnitude of the need for housing often surpasses the amount of land available, thus pushing informal settlers to build taller structures at higher densities that in many ways are similar to those in the formal housing market (figure 3). Source: © Martim Smolka; rendering by Diego Erba. Urban properties and their surroundings are conditioned by different kinds of restrictions described by legal land objects. The concept of a land object arose with the “cadastre 2014” model as a piece of land in which homogeneous conditions (normally defined by law) exist within its boundaries. The definition affirms that if a law defines phenomena, rights, or restrictions related to a fixed area or point of the surface of the Earth, it defines a land object - LO. Incorporating legal aspects, the concept was extended, to affirm that a piece of land could be called a legal land object - LLO, when either a private or a public law imposes identical juridical parameters. The laws define the limits of a right or a restriction. The LLO normally is defined by boundaries which demarcate where a right or a restriction ends and where the next begins, and everything that right encompasses. The definitions are clear only for a 2D dimension connotation. Some examples of the LLO mentioned in the document confirm this vision: private property parcels; areas where traditional rights exist; administrative units such as countries, states, districts, and municipalities; zones for the protection of water and nature and for protection against noise and pollution; land use zones; areas where the exploitation of natural resources is allowed, etc. The construction of the 3D LLO concept can be based on the 2D definition, and that is the reason why this study started identifying the legal framework which describes the LLO in the federal countries. It is not common to find the terms LO or LLO in Latin American legislation. In Argentina, the National Cadastral Law No. 26.209 defines “legal object” as any portion of the territory that by nature and means of access is finite and homogeneous. A “legal land object” (objeto territorial legal) is one that is generated by a legal cause. This legal cause may be a property title (as is the case in real estate transactions), an ordinance or law (as is the case in ownership restrictions, the creation of reservation areas, or the demarcation of an urban area), or even an international treaty (such as those that establish borders between countries). The law stipulates that all LLOs, and their public records, must be managed by the provincial cadastres. In the rest of the Latin American countries, the definition of LLOs is not as explicit as in Argentina, but proof of their existence can be seen in substantive and ancillary legislation. We describe below 5 subject areas that meet the LLO definition in 4 Latin American countries. In Argentina, the National Law No. 25.509/2001 established a real estate right to a forested area. It is conveyed separately from land ownership, and allows somebody to plant in another parcel, but keep ownership of what was planted. In addition, it allows for the purchase of existing plantations in parcels that belong to others. This is a temporary right, with a maximum duration of 50 years, and can be canceled if it is not used for 3 or more years. This right is granted by contract and must be recorded in the Registry of Deeds. Argentina is the only country where glaciers can be found. The National Law No. 26.639 of 2008 places restrictions for the conservation of glaciers and the peri-glacial environment. Art. 3 creates a National Glacier Inventory, with useful information to protect, control and monitor glaciers. Art. 4 stipulates that the National Glacier Inventory shall contain information about each glacier and its peri-glacial environment classified by hydrologic watershed, location, area and morphology. The inventory must be updated at least every 5 years, and capture the changes in the glacier surface and its peri-glacial environment. This last article stipulates, among others, the obligation to measure the surface of the glacier and monitor it periodically to determine any changes in its size. This law does not make any volumetric references, even though it would be particularly interesting to study changes in glaciers over time. In Brazil, the environmental legislation has a large scope. Two areas are highlighted within the context of this work, which are still defined under the 2D vision: legal reserve, and permanent protection areas. According to the Forestry Code (Act No. 4771/1965), a legal reserve is an area located within a rural property or land, except for a permanent protection area, which is necessary for the sustainable use of natural resources, the conservation and restoration of ecological processes, the conservation of biodiversity, and the preservation and protection of native fauna and flora (section 1, §2º, III). Therefore, a legal reserve is a portion of a rural property whose owner or possessor commits him/herself to preserve the native vegetation. The vegetation of a legal reserve cannot be eliminated, although the owner may use it under the sustainable forestry management regime, as per the applicable legal principles and technical-scientific criteria (section 16, §2º). Permanent protection areas are protected by the Forestry Code. They may or may not be covered by native vegetation, and have the environmental function of preserving water resources, landscapes, geological stability, biodiversity, and fauna and flora gene flows, as well as protecting the soil, and securing the well-being of human populations (section 1, §2º, II). These areas are characterized as such regardless of their location, the use of the property or their ownership, since they can be public or private properties. Some examples of permanent protection areas are: the margins of any water courses (a land portion varying from 30 meters to 500 meters); natural springs (within a 50-meter radius); the top of hills, mountains and ranges; and hillsides with over 45% slope. In Mexico, protection of environmental areas is governed by the laws of “Environmental Equilibrium and Environmental Protection” and “Sustainable Forest Development”. In both cases, the legislation imposes no restrictions on property, nor does it establish special regimes for forests or open spaces that limit property rights and are subject to real registration. Nonetheless, both laws establish a broad set of regulations and mechanisms related to zoning that contribute to regulate use of these resources. For correct administration of this information, it must be included in a spatial database as well as in the country’s cadastral databases. An exception to this rule in the Federal District (Mexico City) is the District Environmental Law, which establishes that such restrictions must be registered in the Public Property Registry (art. 98). In Argentina the restriction to private ownership around rivers is established in Article 2639 of the Civil Code. This towpath is defined as a 35 meter strip measured from the shore of navigable waterways toward the interior of adjoining properties. No compensation can be claimed for this area, and it implies a hands-off or non-interference obligation. In Brazil, there are differences in the restrictions related to the sea and the navigable lakes and rivers. The “terrenos de marinha” (Union sea-land properties) are those areas which, washed by sea or navigable river waters, reach up to 33 meters into the land, counted as from the mean high water point. This point refers to the condition of the place at the time of execution of section 51, §14 of the Act enacted on 11/15/1831 (section 13 of the Water Code, Executive Order No. 24.643/1934). These are public properties, i.e., such land portion is not part of the private property. The “terrenos reservados” (reserved lands) are those which possess navigable currents out of the reach of tides, which reach a 15-meter distance, measured horizontally towards the land from the median line of ordinary floods (section 14 of the Water Code). Generally, the reserved lands on the shores of lakes and navigable rivers belong to the states (Water Code – Executive Order 24,643/34, section 31), except when the river is owned by the Federal Government, in which case the reserved land's title is owned by the Union (section 31 of the Water Code, together with section 20, clause III of the Federal Constitution). As in the case of Union sea-land properties, reserved lands are not part of private properties. In Mexico, the “National Law on Water” complements Article 27 of the Mexican Constitution on matters related to superficial or subsoil national waters. The law foresees a towpath specifically called “Federal Bank or Zone”, which must be 10 meters wide contiguous to the waterway, measured horizontally from the maximum regular level of water. The length of the federal bank or zone must be five meters in the river bed, with a width no greater than five meters. In Venezuela, the Waterways Law, in its Article 6, stipulates that all waterways, inland, marine or insular, superficial or underground, are in the country’s public domain. Strips of land 80 meters on each side of non-navigable or intermittent rivers, and 100 meters on each side of navigable rivers, are also in the public domain. The same law stipulates that, because these waterways are in the public domain, they cannot be part of the private domain of any physical or legal person. Underground waters are in adjacent domains: the state owns the resources, while a private party may own the land, its airspace and subsoil, except for situations that can only be managed in 3D space. Article 54 of this law attempts to protect the sensitive areas on which the water, plants and wildlife depend for their existence and quality, by declaring certain lands part of “protected zones of water bodies.” These zones restrict the domain - with no right to compensation – in: a) a surface defined by a circumference with a 300 m radius projected horizontally and centered in the source of any waterway; and b) a 300 m strip on either side of rivers, measured from the edge of the high water mark; and from the borders of lakes and natural lagoons. In Argentina the Mining Code was established by Decree No. 456 of 1997. It regulates the property of mines, and the rights of exploration and operation. In Art. 7, it stipulates that the mines are private assets of the Federal Government or the Provinces, depending on their location. Art. 10 of the Mining Code stipulates that “independently of the original ownership by the State… the private property of the mines can be established by legal grant”. This granting of mining rights can be interpreted as a mining easement to the mining company. On the other hand, Art. 12 defines the mines as real estate properties. Art. 20 establishes a mining cadastre to describe the physical, legal, and other useful information about mining rights. Those rights are identified with points that represent the vertices of the “area” defined in the requests for exploration permits, discovery manifests, etc. However, the Mining Code does not mandate in any of its articles the volumetric representation of the mineral to be explored. In Brazil, according to the Federal Constitution, Article 176, mining reserves, whether active or not, and other mineral resources and the potential for hydroelectric power, are a type of property that is different from the property of soil, for the purposes of exploitation or use, and as such they belong to Brazil. However, the grantee has a right to own the product that is mined from such area. Similar to the Argentine Code, the Brazilian legislation does not provide any information regarding volume. In Peru, mineral rights are established by Supreme Decree #014-92-EM (Unified Text of the General Mining Act) and regulated by Supreme Decree #03-94-EM. Section II of the Preliminary Title of this legislation establishes that all mineral resources belong to the State, and that this ownership is inviolable and inalienable. Act #26615 creates the Mining Cadastre, whose unit of measure is the mineral right, a property unlike land or the right of property under or over land, and therefore is not the same as a parcel, as established in paragraphs 1 and 8 of Article 885 of the Civil Code. The General Mining Act expressly states in Article 9: “The concession of mining rights is a real estate property distinct and separate from the parcel where said rights are located." In Mexico, Article 12 of the Mining Law refers to the “mining lot” and describes is using elements that reveal it as more of a “mining space”. According to the law, it is a solid body of undefined depth, delimited by vertical planes and whose upper limit is the surface of the Earth, based on which the corresponding perimeter is determined. The sides that make up the perimeter of the lot must be oriented astronomically both North-South and East-West, and the longitude of each side must be in multiples of one hundred meters, except when these conditions cannot be met because the lot meets other mining lots. The location of the mining lot is determined based on a fixed point in the lot, called the starting point and connected with the perimeter of or located on the lot. The description affirms that the link of the starting point will preferably be perpendicular to any of the sides (North-South or East-West) of the lot’s perimeter. Despite the fact that their descriptions are not georeferenced, mining spaces clearly have a vertical development. In Venezuela, the Mining Law (Decree 295/1999) stipulates in Article 2 that mineral deposits of any kind belong to the country’s public domain, and must be recorded in the Public Registry. The law describes in detail how to distinguish the land from the subsoil where the mineral deposits are stored; in its Article 10, it states: “for the purpose of this Law, the earth’s crust is divided into two parts: the land, which is the surface layer and the area below it affected by the work of the landowner in activities other than mining; and the subsoil, which extends indefinitely in depth from the point the land ends. The mining activities in the subsoil do not generate compensation for the landowner, except if they affect the land or other assets.” Article 26 defines an area of mining rights as “a pyramidal volume, whose base is a rectangular horizontal plane measured in hectares, and whose vertices and sides are oriented pursuant to a projection system adopted by a competent authority”, and in Article 28: “the horizontal extension of the mining rights shall be a rectangle defined by fixed points and straight lines over the earth’s surface, whose surface unit is the hectare (Ha.) Its vertical extension shall be defined by the projection of this horizontal extension to the center of the Earth, with no depth limit. The right to explore and exploit mineral substances within the space volume assigned constitutes a real estate right (Article 29) and must be recorded in the Public Registry (Article 45). In Argentina the Aeronautic Code was established by National Law No. 17.285 of 1967, and it describes the limitations to ownership of property located close to airports. This Code defines the limits to obstacles in the airspace in airports and their surrounding environment, to ensure the secure landing and takeoff of aircraft. Although these obstacles are by nature volumetric bodies, they are represented by their surface projections on land. However, cross-sections are also enclosed to describe the height over land over which the restriction extends. In Brazil the Law 7,565 of 1986 regulates the Air Code. The restrictions to which neighboring properties of airports are subject have to do with the use of such properties and the buildings, premises, types of crops that can be farmed, and anything that may hinder the operation of airplanes or cause interference to the radio signals used to assist air traffic or block the visibility of visual signs. In Mexico, the Civil Aviation Law, in Chapter 1 – General Provisions, Article 1 – defines the use or exploitation of the airspace over the national territory for the purpose of providing and developing civil and government air transportation. The law states that the airspace over the national territory is a general communication pathway subject to the domain of the Federal Government. The Civil Aviation Law regulations define the events that may occur in the airspace, emphasizing the importance of a 3D definition. In Venezuela, the Civil Aeronautics Law of 2005 defines in its Article 50 an “obstacle free surface” as the “slanted and horizontal imaginary planes that extend over each airstrip or airport and its surroundings, which can limit the height of the obstacles to airplane circulation. The Aeronautic Authority shall establish in each case obstacle free surfaces and the maximum height of construction and of any other type of edification on the properties that, by their nature, may present a potential risk to airline operations. These provisions constitute another type of restriction to the property domain, a geometric form that can be conveniently defined only in three-dimensional space, and managed with a model with 3D characteristics. In Argentina these types of restrictions are established by municipal ordinance and have the goal of fostering coexistence among neighbors, improving the general welfare and ensuring public health. Some of the salient features of urban restrictions are the obligation of noninterference and the lack of compensation for the affected property owner. Some examples are: chamfered corners (for visibility), building setbacks, recess of common walls between buildings, land use regulations, street extensions, etc. In Brazil, the municipalities regulate the use of urban soil. Given that the potential for development is defined by the municipality, the air space in which buildings stand belong to the State, which then represents a clear and distinct difference between a Right to Build and a Right to Own Property. This is being discussed by scholars and by the industries that develop land policy in Latin American cities, and it is a clear example of the importance of our starting to see the city as an accumulation of 3D plots on which there is the intersection of private and public interests. In Venezuela, the Land Master Plan Law (Ley de Ordenamiento Territorial) and the Urban Master Plan Law (Ley de Ordenamiento Urbano) (1983 and 1987, respectively, in their Title V), establish that the regulations derived from the land and urban master plans, drawn pursuant to those laws by the respective applicable authorities (in particular, municipalities) impose legal limitations (restrictions) to the property rights, as they regulate their use and exploitation. In particular, Article 6 of the Land Master Plan Law stipulates that the plans shall define for each zone “… corresponding use and regimen, as well as the definition of volumes and densities” of construction. While the technologies used to measure, represent, and store information are now evolving towards 3D platforms, urban legislation and land policies continue to approach the city as a fat land surface. To visualize the buildings and the restrictions imposed on properties in 3D is a considerable advancement for those responsible for urban decision making. Nevertheless, there is a long way to go before 3D information is integrated as part of urban legislation and property titles. The consolidation of the 3D cadastre, which registers how 3D parcels intersect with the corresponding legal norms and regulations, would contribute to more effective urban and environmental planning, infrastructure network design; and the prevention of informality by permitting the construction of future scenarios showing the impact of land policies in space. Changing the term “area” to “space” would be a first step in giving urban and environmental legislation a 3D connotation, and would be a simple and relevant way to start the process of introducing the new paradigm. The structuring of a 3D property registry is still under development, but when it is established landowners will understand that they own cubic feet instead of square feet. Erba, Diego A. (2008) El catastro territorial en América Latina y el Caribe. 2008. Cambridge, MA, USA, 2008. ISBN 978-85-906701-3-1. pg. 415 Available at: http://www.lincolninst.edu/pubs. Carneiro, A; Erba, D. & Augusto, E. (2011). 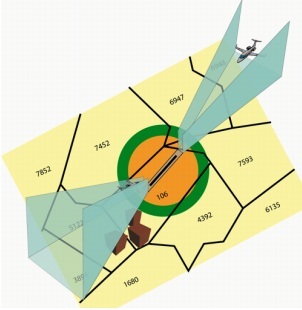 Preliminary Analysis of the Possibilities for the Implementation of 3D Cadastre in Brazil. Proceedings of the 2nd International Workshop on 3D Cadastre. Delft, Netherlands. Available at: http://3dcadastres2011.nl/. Lagarda Lagarda Ignacio. (2009). El catastro. Ayuntamiento de Hermosillo, Sonora, México. The authors thank these partners and colleagues in the development of research and publications in this fled of knowledge: Anamaria Gliesch-Leebmann, Design Concepts 4 You, Seeheim-Jugenheim, Germany; Andrea F. T. Carneiro, Federal University of Pernambuco, Recife, Brazil; Eduardo A. A. Augusto, Brazilian Land Registry Institute (IRIB), São Paulo, Brazil; Ignacio Lagarda, independent consultant on Cadastres in Mexico; Leonardo Ruiz consultant on Cadastres and GIS in Venezuela; and Martim Smolka, director of the Program on Latin America and the Caribbean at the Lincoln Institute of Land Policy. Land Surveyor Engineering (Universidad Nacional de Rosario, Argentina). Master of Science in Remote Sensing (Universidade Federal de Santa Maria, Rio Grande do Sul, Brazil) and Master of Science in Multipurpose Cadastres (Universidade Federal de Santa Catarina, Florianópolis, Brazil). Doctor in Surveying Sciences (Universidad Nacional de Catamarca, Argentina). He did Post Doctoral research in GIS on Water Bodies at the Natural Resource Center of Shiga University, Otsu, Japan and on GIS for Urban Applications at Clark Labs- IDRISI, Clark University, Massachusetts, USA. Currently, he is a Fellow at the Lincoln Institute of Land Policy, where he coordinates Distance Education Programs and manages research projects on cadastres and GIS topics. Land Surveyor (National University of Cordoba, Argentina). Postgraduate studies in GIS, Remote Sensing and Cartography (University of Alcala de Henares, Spain). Professor in the Masters in Environmental Engineering at the National Technological University (2001-present) and in the department of Labor Final race in Surveying Engineering, National University of Cordoba (2008-present). Teaching Faculty in the Program for Latin America and the Caribbean of the Lincoln Institute of Land Policy (2005-present). He served as Director of the Municipal Cadastre of Cordoba, Argentina, leading modernization projects in the areas of Cartography and Land Valuations. Currently, he is a GIS specialist and independent consultant. FCEFN – UNC – CP 5.000 - Córdoba - Argentina.